Obagi Santa Barbara Medical Grade Skin Care – See How Obagi Can Work For You! At Evolutions Medical Spa Santa Barbara we are often promoting Obagi Medical Products because they are skin care systems that truly work! Whether you use a complete system – such as the Nu-Derm skin transforming system or the Obagi-C RX system for collagen stimulation and protection against future damage – or use individual products, you will see a change, as we have witnessed with many of our clients who have used Obagi. Buy Obagi skin care systems and products in Santa Barbara at Evolutions Medical Spa. For a complimentary skin care consultation, call 805-687-0212 or book online. As we age, some of us develop more sun damage and age spots (often referred to as “liver spots”) on our faces. This hyperpigmentation can make us look older than we are. Evolutions Medical Spa Santa Barbara offers many aesthetic medical services that can rejuvenate the skin – such as chemical peels, FotoFacials, vibradermabrasion and more. However, if you are looking for home care skin products to start the process of reducing unwanted pigmentation or if you have had medical spa treatments and are looking for products to continually improve the quality of your skin, Santa Barbara cosmetic surgeon Dr. Terry Perkins, recommends Obagi Medical Products. Obagi’s Nu-Derm System addresses signs of photodamage and aging including age spots, skin laxity, hyperpigmentation and more. The Obagi Nu-Derm system was recently featured in MedEsthetics Magazine in an article titled “Lighten Up” about hyperpigmentation. Another Obagi product recommended to treat sun damage is the C-Clarifying Serum. In the April issue of Elle Magazine, Obagi’s C-Clarifying Serum was touted as one of the best products for reducing the appearance of brown spots and sun spots. Obagi is popular among dermatologists, cosmetic surgeons, aesthetic medical facilities and medical spas because their products yield results. 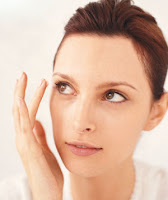 If you have concerns about your skin’s pigmentation, sun damage, age spots (or more! ), you can purchase Obagi Medical Products in Santa Barbara, book a consultation at Evolutions Medical Spa Santa Barbara today! 805.687.0212. Obagi Medical Products in the News! Skinnovations, our Education at Evolutions Medical Spa Santa Barbara Event, is rapidly approaching (this Wednesday, February 24th, more details here) featuring Obagi Medical Products -the #1 physician-dispensed skin care in the country. Obagi, available at Evolutions, is one of the hand-selected skin care lines that Evolutions founder and cosmetic surgeon Dr. Terry Perkins has chosen to carry because the products are clinically-proven skin care systems that prevent and improve skin disorders in adult skin. At Evolutions we highly recommend Obagi products to our clients and the feedback we hear is that they love the results that Obagi products yield. Our clients are not alone! Over the next few days, we will be featuring Obagi Medical Products that have been making news! Read on for the buzz on Obagi’s Nu-Derm System! Obagi’s Nu-Derm System transforms skin from the cellular level resulting in healthier and younger skin. Recently the Nu-Derm System made big news as it was given to every audience member on The Ellen Degeneres Show. The Nu-Derm Foaming Gel was featured in the December/January issue of LA Confidential. It is featured in the “Can’t Live Without” section, where Chef Thomas Keller talks about his favorite things. When asked what products can be found on his bathroom shelf, he said that he uses the Obagi Medical Product Nu-Derm Foaming Gel. The Nu-Derm Blender was featured in the Winter/Spring issue of NewBeauty. It is featured in a story titled, “How to Stop the Spots.” The story also features an Obagi Medical Product Nu-Derm patient before and after image. Visit Evolutions Medical Spa Santa Barbara for more information about Obagi Medical Products and RSVP for the Skinnovations Event, featuring Obagi Medical Products, today – 805.687.0212. Obagi Medical Products and Systems are innovative, results-based topical products that are designed to prevent and improve the most common and visible skin disorders in adult skin such as fine lines, wrinkles, discoloration, acne, and Rosacea. Obagi was recently featured on The Ellen Degeneres Show where they generously gave each member of the audience a $500 American Express gift card and the Obagi Nu-Derm system that transforms the skin from a cellular level resulting in younger and healthier looking skin. Obagi may be best known for the Obagi “Blue Peel” – the deepest chemical peel offered by Santa Barbara Evolutions Medical Spa – that can transform the skin in just seven to ten days! Seating Limited – RSVP Today!